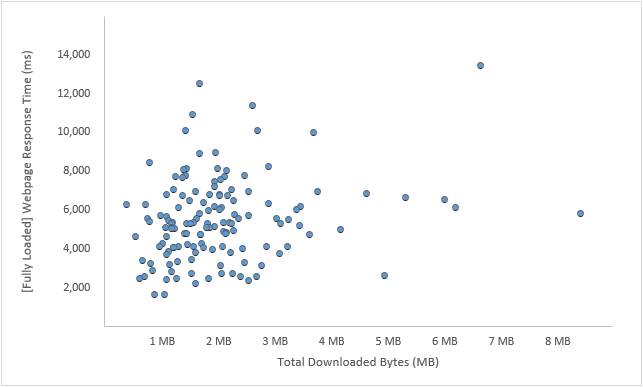 Data from the top 100’ish Internet Retailer default Home Page loads. 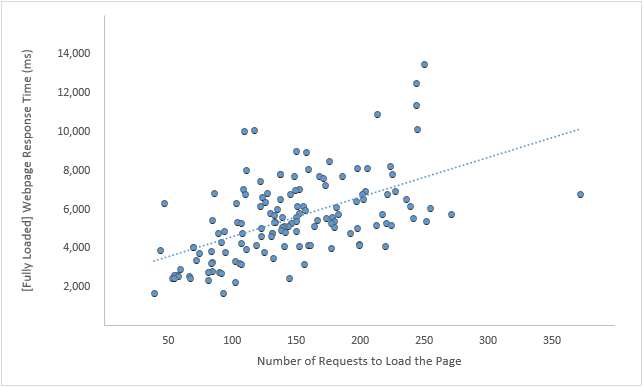 Is there correlation between the #Requests and Webpage Response times? 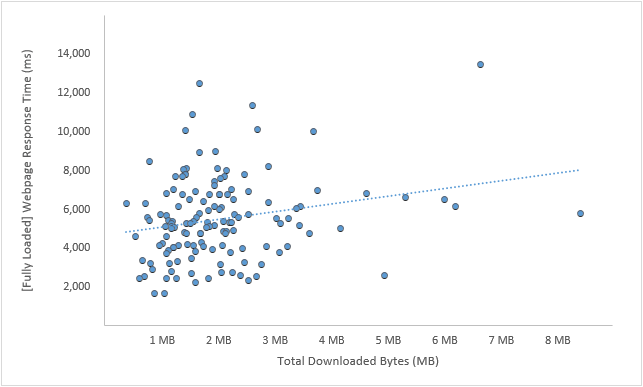 Special note, the X axis in the two charts are not normalized.